Fiorano Software, the high-performance enterprise middleware and integration specialist has launched a single-stack technology platform for PSD2, designed to help banks securely deliver ASPSP Interfaces in accelerated timeframes. Fiorano Software announced today that Fincare Bank has chosen the Fiorano Platform for its integration and digital transformation initiatives. Fiorano Software announced today that I&M Bank, Kenya has chosen the Fiorano platform to achieve digital transformation to reduce time-to-market while integrating its Finacle, Core Banking System. Fiorano Software today announced that Bank of Kigali, Rwanda’s largest commercial bank, has chosen the Fiorano platform for its digital transformation. Cambodia Post Bank (CPB) has selected Fiorano ESB to integrate its Temenos T24 core banking system with National Bank of Cambodia (NBC)'s FAST . mGage India, a market leader in the mobile engagement market in India has selected Fiorano SOA platform to improve the efficiency of their internal systems, enable faster message processing and improved message delivery. .
Fiorano Software, a leading provider of enterprise integration and messaging infrastructure technology, today announced general availability of Fiorano MQTT, the enterprise scale MQTT message broker. Fiorano Software, a leader in enterprise integration and messaging middleware solutions, today announced that the Fiorano Platform has been deployed by Polaris Transportation, a leader in LTL (Less-than Truck Load) shipment services between Canada and USA. NHS Wales Informatics Service has selected Fiorano Software, a leader in enterprise integration middleware solutions, to provide the replacement of its current integration platform. Delivering business productivity solutions based on leading integration middleware SOA technology. Fiorano Software today announced general availability of the Fiorano Platform version 10 (Fiorano 10), realizing its vision in providing best-in-class enterprise integration solution. Fiorano SOA infrastructure to enable real-time sales optimization. This makes Fiorano the only vendor to be named in the 'Visionary' quadrant for 7 times in the last 10 years in Gartner's Magic Quadrant research for application integration spectrum. Social payments of over a billion dollars through the network to benefit millions of beneficiaries. M-Shwari logs 40,000 customers per day crossing Ksh1 billion in transactions a month with core banking integration from Fiorano. Compressed order-delivery cycle and optimized shipping logistics provide major boost to profitability and competitiveness. Seamless connection through the Fiorano ESB to travel agencies around the world used to sell excess inventory and increase revenue. Banking leader to revolutionize customer service levels and rapidly roll-out new revenue channels with Fiorano middleware integration layer. Fiorano ESB, Enterprise Service Bus backbone infrastructure to enable multiple integrations including Salesforce.com, Microsoft SharePoint, IBM FileNet and SAP ERP. Fiorano ITK Framework brings unique distributed service-oriented architecture (SOA) to NHS integration. Fiorano Software today announced general availability of version 9.4 of its industry leading FioranoMQ JMS Server. This latest release includes significant enhancements, including Tuxedo, FIX and Socket Adapters together with significant additional functionality in several adapters and the ESB core. 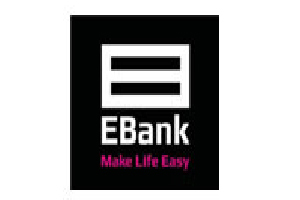 Elektrobit enables seamless communication by creating a flexible mesh of applications using Fiorano SOA. Fiorano's ESB based SOA platform delivers key information-exchange for Homeland Security Agencies during the Deepwater Horizon Spill. Highest speed and lowest latency release handily outperforms IBM and TIBCO. Integrates Salesforce.com with over 70 on-premise apps. Fiorano Cloud ESB Platform selected over Microsoft BizTalk and Mule Open source.